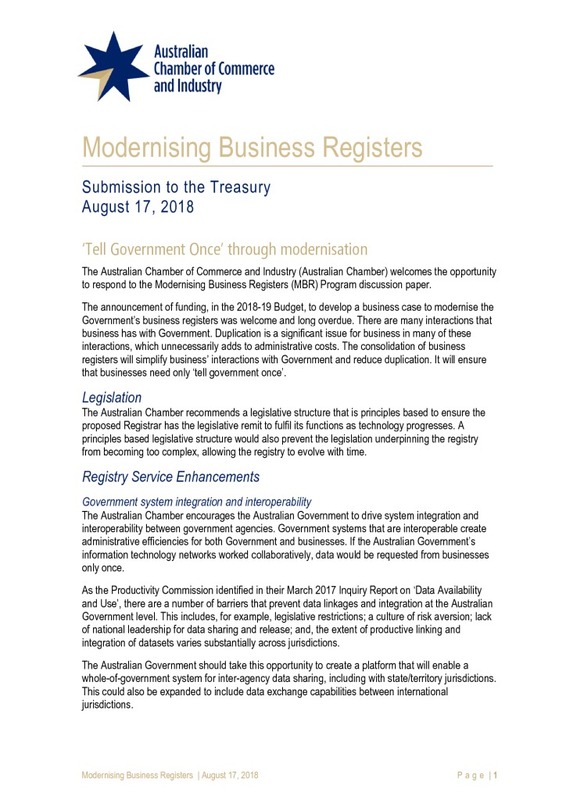 The announcement of funding, in the 2018-19 Budget, to develop a business case to modernise the Government’s business registers was welcome and long overdue. There are many interactions that business has with Government. Duplication is a significant issue for business in many of these interactions, which unnecessarily adds to administrative costs. The consolidation of business registers will simplify business’ interactions with Government and reduce duplication. It will ensure that businesses need only ‘tell government once’.